Keine Experimente mit Ed ... Taylor greift wieder zur Klampfe und gibt einen netten Radio-Folk-Song zum besten ... Ed liefert ein bisschen Abwechslung dazu. Hmm, Taylor can be very hit and miss with me, and I don't find this particular song very engaging. Not to say it's boring, but it doesn't quite do it for me. At first I found it a little boring and lifeless but I grew to like it. Better than most of what I have heard from the album. Taylor and Ed are both excellent singers and their voices work well together. This is a lovely song. Pleasantish, doesn't really do much for me. Sickening. Of course, not enough Ed Sheeran, and whatever respect I had of him before is diminishing. A sad state of affairs it is. This is very enjoyable! Great effort from both and up there as one of Taylor's best. ▒ Geen wonder dat dit duet me nooit is opgevallen, oktober 2012 !!! Was geen hoogvlieger, maar is eerlijk gezegd ook geen bagger !!! Drie sterren zijn voldoende en precies op zijn plaats ☺!!! Ein etwas gesuchtes unspannendes Duett. 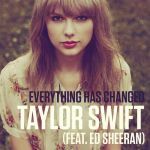 Word niet weggeblazen door deze samenwerking van Taylor Swift & Ed Sheeran slecht is het ook niet maar zeker geen hoogvlieger. Een drie is denk ik precies goed. Ik vond 22 echter leuker.<br><br>Edit 12/07/2014:<br>Nu wel een mooi nummer, maar wel wat liefjes, zoals DeejayDave al zegt. Den Videoclip finde ich recht gelungen, der Song ist einfach nur 08/15 und so spannend wie ne Talkshow am frühen Nachmittag. Ik sluit me aan bij Gherkin. Ik hoor Ed liever alleen, en Taylor liever helemaal niet. Helemaal geen onaardig duet maar het blijft allemaal erg liefjes. Dat is waarschijnlijk ook de bedoeling geweest, getuige de ultra-cute videoclip. Vooruit, nog net vier sterren. Chanson mignonne, j'aime particulièrement le pont "Just wanna know you better". Clip vraiment très chouette. Definitely one of the better songs on this album, it's a shame that I got tired of it before it was released as a proper single. But it's still a nice listen from time to time, when it's not thrashed on radio every hour. Lieblich-harmloses Duett, geht in Ordnung, mehr nicht. This has aged very well. A 4 now. It's decent, but I expected so much more from a Taylor Swift + Ed Sheeran duet. Two amazing talents, you'd think they'd make magic together. Sweet Pop ballad from this fine duo of Taylor & Ed that had a cute video to match. It's really quite nice. 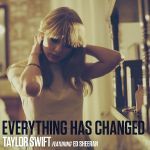 I'm not a huge fan of Ed's but his contributions on this are good, and so are Taylor's. Though I like "The Last Time" more in terms of the duets on the album, mostly due to Gary's voice blending very nicely into Taylor's, I do like this and both their voices assist in a very nice product. Gelungenes Duett, nicht ganz meine Stimmen.<br><br>28.10.16: Mittlerweile gefällt mir der Song viel besser, höre mich gerade durch den Taylor Swift-Katalog. <br>Den gibt es ausnahmsweise nicht auf Spotify, sondern nur bei YouTube. 4 => 5. Very successful duet, their voices harmonize together. Ist ein passables Duett, aber bei weitem nicht so stark wie "The last time" mit Gary Lightbody. Ed and Taylor have a beautiful friendship and in this song we are really treated to something special in the way of a collaboration between the two. Hopefully they do a song together again sometime. It never really engaged me then nor now, hopefully they can find something better in the future.